My heart sinks a little, and I always feel slightly uncomfortable. I know these people mean well. They offer to pay me, but I know their perception of the value of the item will not match my time and effort. To avoid the “money” conversation, I’ve just been telling everyone outright that I am not in a position to help them due to time. That’s completely true. Between work, sewing, producing videos, maintaining this website, and social media – I have even farmed out grocery shopping to Amazon Prime Now delivery. There is no room for taking on outside projects. This editorial originated when I came up the idea to tape myself talking about selling quilts. While editing this clip, I realized I should expound upon my thoughts through an article also. Here is the video – it’s worth watching because I touch on more points. This is an issue that has been on my heart for well over a year – it’s the reason why I researched and wrote the Quiltonomics article. Unfortunately, quilts just are not perceived by the vast majority as a “luxury item.” When you think about it, that’s exactly what they are. Women will pay hundreds, even thousands of dollars for a dress, shoes, or designer handbag. Yet, why do they not want to pay over $200 for a handmade quilt that takes hours and hours (and hours and hours) to construct? Even right now on Etsy, there are baby quilts with some piecework being sold for under $100. I do not feel it is possible to make a good hourly wage (above $15 USD) with that type of pricing structure. 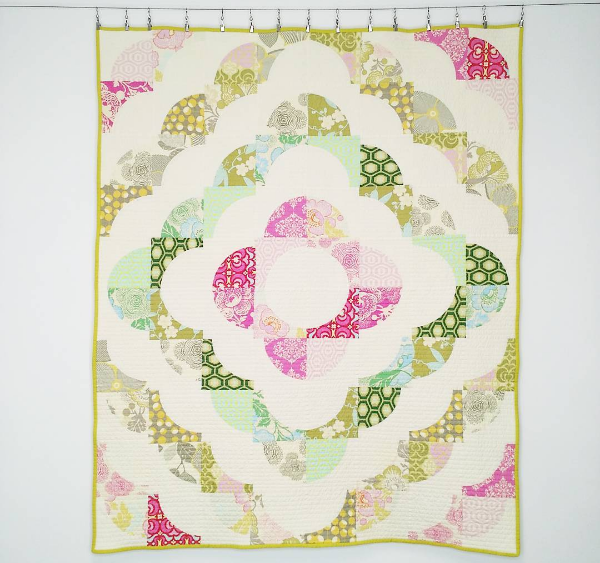 Check out this cost breakdown on a baby quilt done by Molli Sparkles. Even if you got your materials and supplies for free, you would still need to charge well over $100 just in labor costs. Around the holidays, James and I attended a craft show. I was mostly curious to see what local artists were charging for their handmade items. Several vendors had donated items for a silent auction to benefit a charity. One of these was a lap quilt with moderate piecing and free motion quilting. When I checked, the current bid was a whopping $45. I felt awful for the maker, she’d probably hoped to at least raise a few hundred dollars? We as a community need to elevate the value of quilting. 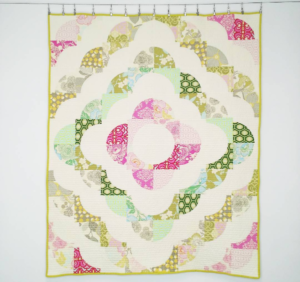 Making a quilt comes at a great expense of time and effort – heck – they SHOULD be expensive! The general population will never see quilts as items of real value unless WE also treat them that way. Whether you’re a full-time mother who hopes to make extra money on the side, or a professional art quilter – everyone should be pricing items with the mindset that quilts are a luxury good instead of something you can pick up for $10 at a flea market. If you’re in the camp that quilts should be accessible to everyone – that’s cool, too. GIFT quilts to anyone you’d like, but if you’re selling – don’t undercharge. While it might seem harmless, you are then lowering the standard of pricing expectations consumers have and fostering a more difficult business climate for everyone else. Would more people get into quilting if you could sell a quilt for $10,000? You bet they would! Now, I do want to say this… I realize you might think this post is a bit extreme. If people generally saw quilts as being valuable, I wouldn’t be here telling you to raise prices. However, we currently have the opposite problem – hardly anyone understands the value and cost of a quilt. The only way to rectify this and change the perception IS to price quilts in a manner where they are considered expensive. Feel free to share your thoughts and ideas in the comments, but please be nice and constructive! This is actually something that I’ve thought about repeatedly over the years. Part of the issue of comparing quilting with designer shoes and handbags is that you’re trying to compare a handmade item with a status symbol. People are willing to pay the price because it’s an item they can show off repeatedly and that’s easily recognizable as being made by a particular designer. Those who buy and wear designer items are automatically seen as wealthy and fashionable – they have status. Those who buy quilts do not. What we, as quilters, need to do is focus on quilting as a “brand” (for lack of better word). By doing that, it imparts a sense of importance. We need to discuss quilting as usable art. Yes, it’s art, but it’s also a blanket, or a purse or a jacket, etc. We need to talk about the uniqueness of each item. Since everything is handmade, and each cut of the fabric, each stitch, each color way is different, no two items will be identical. Some can be customized, some will be limited edition, some will be the only one ever made. People don’t question the cost of a designer handbag, made with slave labor overseas, in strange materials, that goes out of fashion very quickly… But they do question the cost of a handmade quilt, made in town by your neighbor with natural fabrics in timeless colors and patterns. Wonderful input Danielle – I completely agree! Thanks for sharing your perspective! I do think of and discuss my work as a luxury item, art work (even if the buyer intends to sleep under it). It’s true that I get very few commissions, but every once in a while someone surprises me and says yes to my quote. If it’s something I’m not interested in working on, I don’t even give a quote and just say that my schedule is full. I have sold a lot of completed works, but I don’t anticipate commissions ever being a big part of my output. Scott – great to hear from an art quilter! If you don’t mind me asking – what do you feel we as a community could do to change the perception people currently have toward quilts? For a few years I was doing a lot of quilt appraisals, and often determined value to be much higher than what the makers thought. As a collector, I’ve had an absolute field day on eBay and Etsy because people undervalue their work significantly. Wow!! So amazing to have some quilt legends weigh in here! Thank you!!! Interesting! We recently had several antique quilts (probably circa 1930) appraised and were told that they would be worth more, but “the market is soft now.” Do you think that appraisals can change that? Sales records are what deterimne appraisal values, so I would say it depends a lot on what the market is doing. Great article! People (especially women) love to de-value quilts and quilting. They do it to themselves all the time, so it’s easy to do it to others as well. It makes me sad that we have such a hard time valuing our work! A furniture-maker can make thousands for one piece of custom furniture… how is getting a custom quilt made any different? I recently made a purse/tote for myself, using one I had made years ago as a pattern. Three fabrics, machine quilted base. I was pleased with it, and posted a photo on Facebook. I immediately got several “would you make me one?” requests. And I considered it — for about 2 minutes. I came up with a price of $90 at a minimum, and that was charging $10 per hour for labor. My reply — no, I won’t make them to order. Last year, I made 2 items for an art/craft auction for a cause I believe in wholeheartedly — a lace shawl knit of baby alpaca yarn, and a pieced and appliqued crib quilt, hand quilted. The shawl sold for $100 and the quilt for $75, which covers materials, and not much else. Meanwhile, sketches were selling for $200 – 300, and photos for more than that. I remind myself that the cause is what is important, but have already decided that next time I will write a check instead of spending too many hours of free labor. Karen, yep! I am almost afraid to post makes on Facebook for this very reason. You get people telling you they want one and insisting that they’ll pay you, but you know their price perception and yours isn’t going to match. Wonderful article. You atemlod absolutely right. I have only Sold two quilts and Chargen about 800 $ each. Normalerweise I gift my quilts – but only to people who really value them. I’d rather have one more quilt in my house than give it to someone who doesnot value it. Just stumbled across this post again, and I have something to add. America’s earliest quilts were elegant objects made by affluent families for well-appointed homes. Today, all kinds of people make all kinds of quilts, but especially people who can afford the materials and have time to sew. And yes, after buying the materials and spending all that time sewing, most quiltmakers give their quilts away, as gifts. Some quiltmakers hold on to their work and exhibit it, aiming for acceptance in juried shows, prize money and even gallery shows and museum exhibitions. So, if we really think about the history, along with who makes quilts today and how they are used, there is irony in the idea that quilts need to be luxury items. They have always been and still are luxury items. Thanks again for the wonderful insight Bill! Wouldn’t it be great if everyone valued quilts the way they should be? Those situations just sound… terrible Judy! I’d probably just tell the person that was out of my realm of skills, I just didn’t have time, or that I didn’t accept commissions/special projects. And yes, it’s never good friends/family members – always some acquaintance or someone in our life we’re not close with and usually try to avoid.